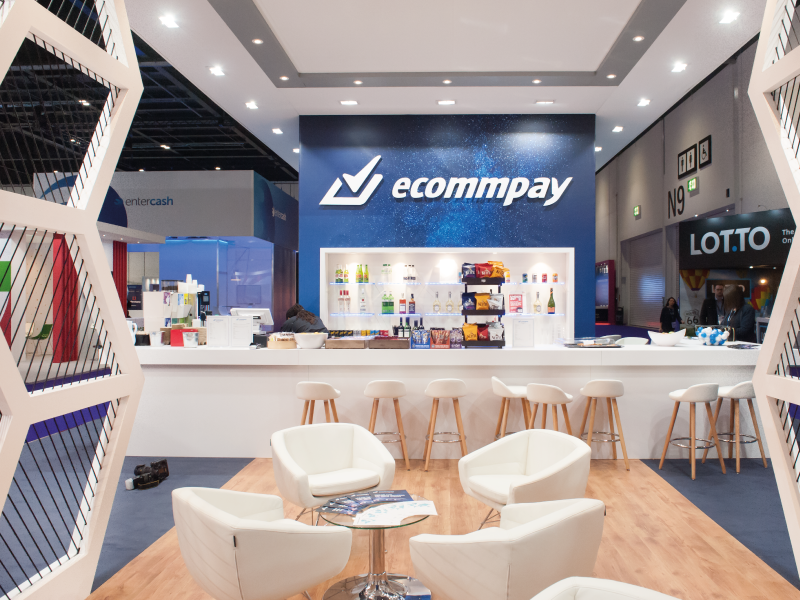 ECommPay provide state-of-the art secure online payment solutions to businesses worldwide. 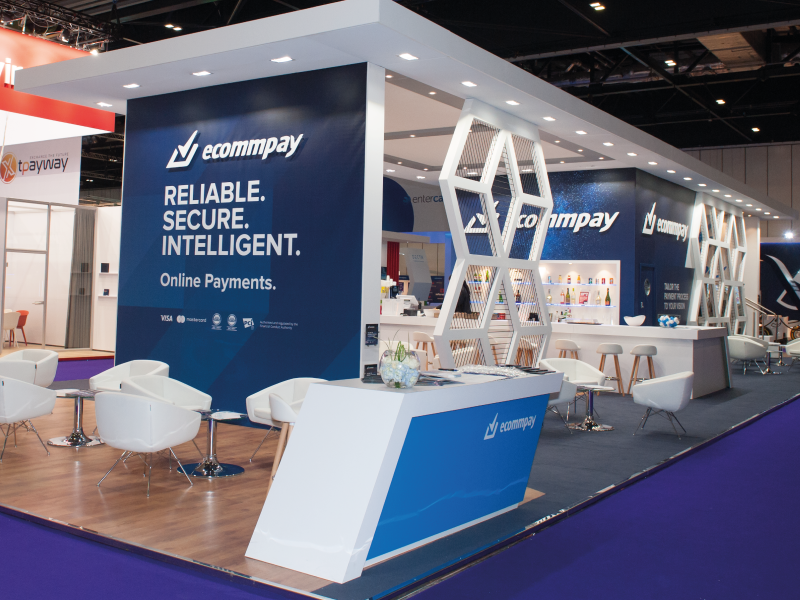 Their brief was to create a striking and inviting stand in a brand new design to reflect their position in the online payment system market. 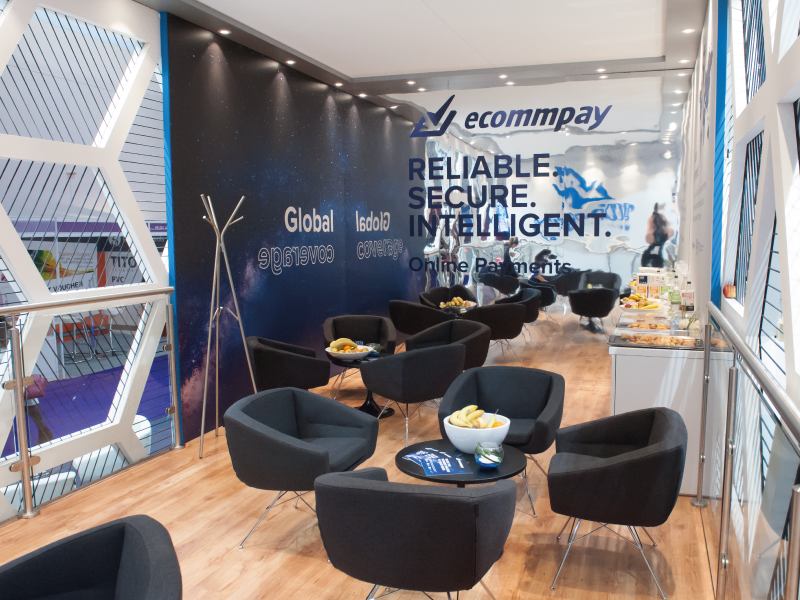 There was a lot to catch the eye on this stand. 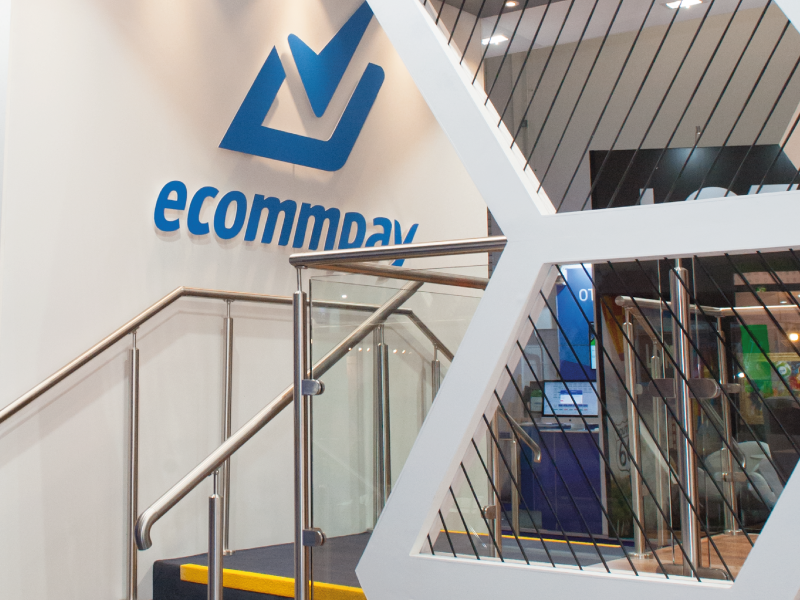 We visited ECommPay’s newly refurbished offices in Riga to pick up inspiration from their interior design which has featured in several design blogs. 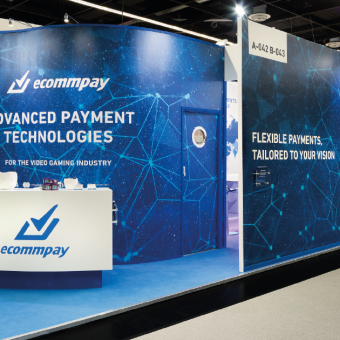 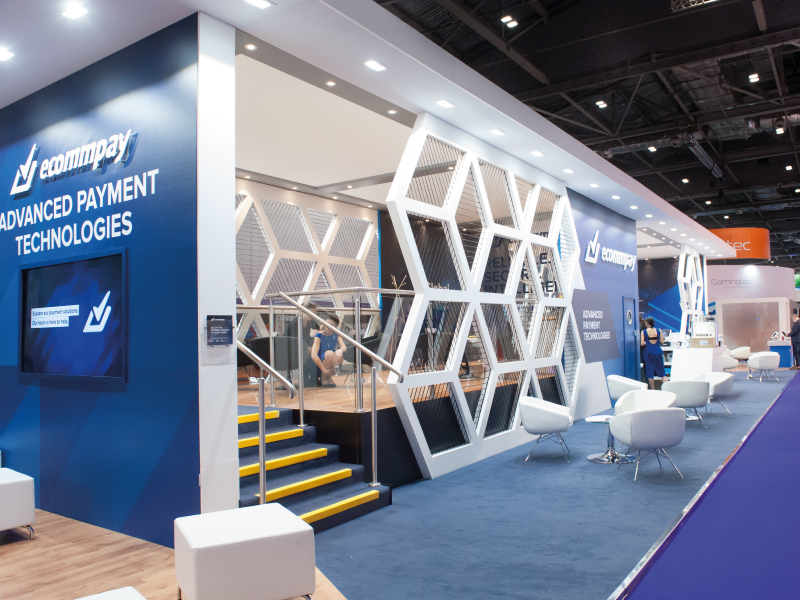 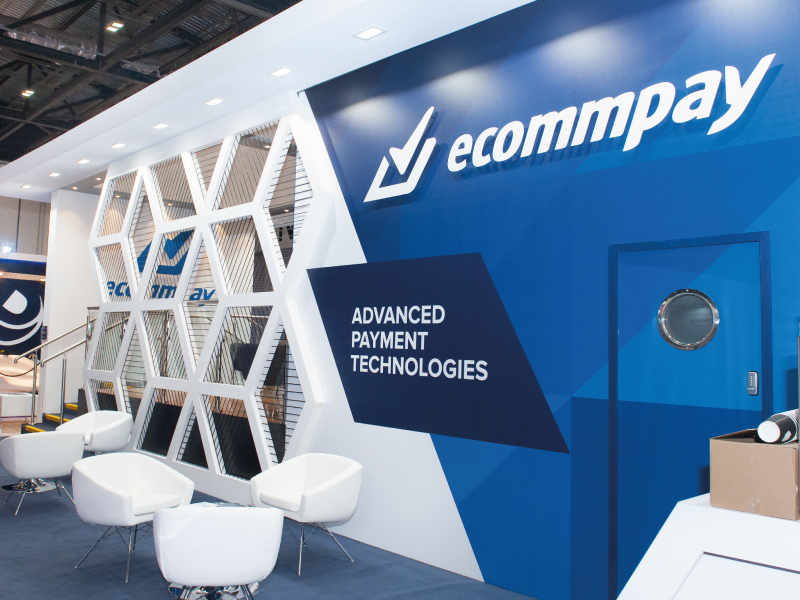 As it was open on four sides, we came up with some imaginative solutions to show off ECommPay’s branding and messages, including creating a raised VIP area, hospitality area and seating. 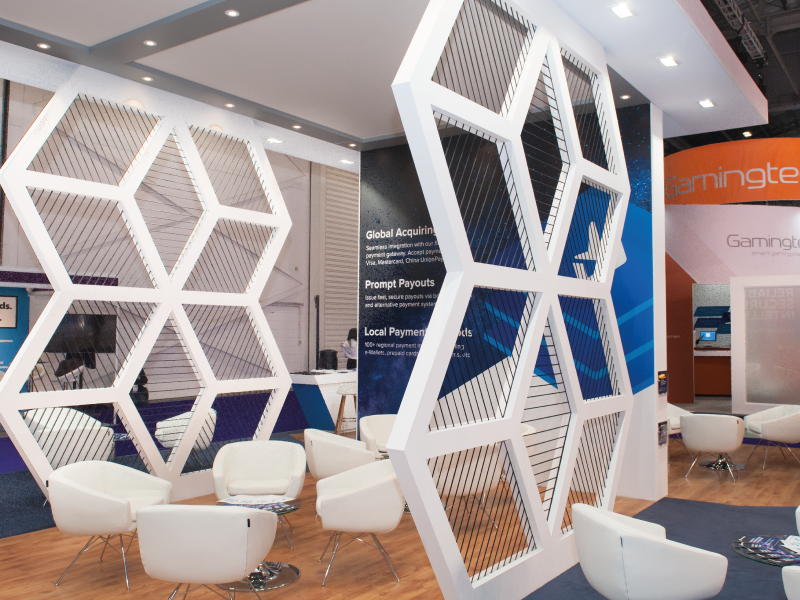 The hexagonal wall feature and lighting throughout the stand provided great visual appeal to visitors. 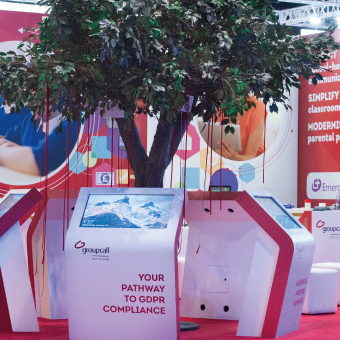 This large-scale exhibition stand, reaching over 200 metres, created a huge impact at the show. 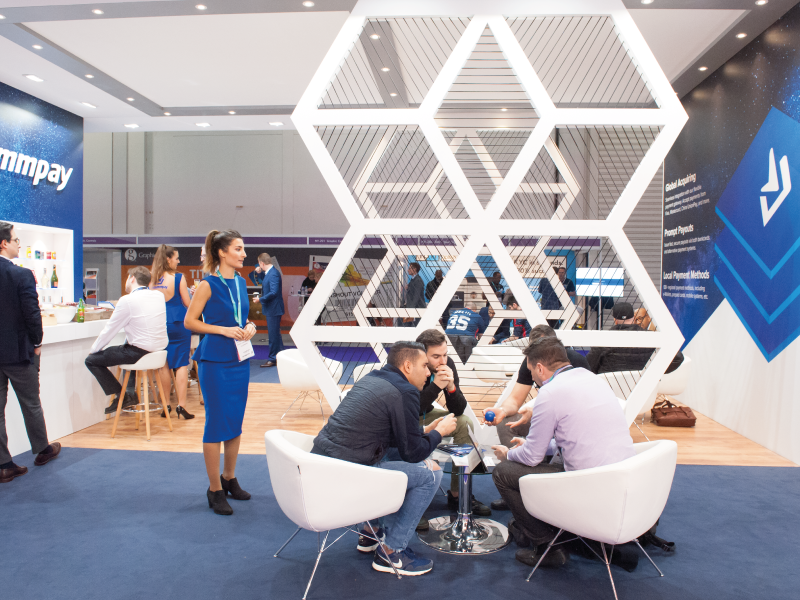 We’re already discussing how to make it even more impressive next year and talking about plans for even more custom-built stands.